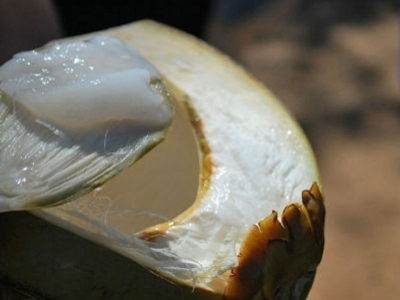 Tender coconuts is naturally sweet and ingratiating. It promotes proper digestion, and naturally helps clearing the urinary paths and thus lubricating the body systems. The major constituents of coconut water are sugar and minerals along with some fat and nitrogenous substance.